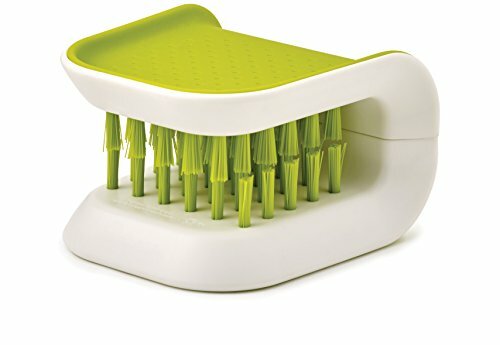 A handy, easy grip kitchen cutlery cleaner is the perfect accessory for safely cleaning sharp kitchen knives, scissors etc. The tough brushes will safely clean both sides of your knives and it’s well designed to help keep your fingers away from the cutting edges as you clean. You can push it onto the side of your washing bowl to store too. 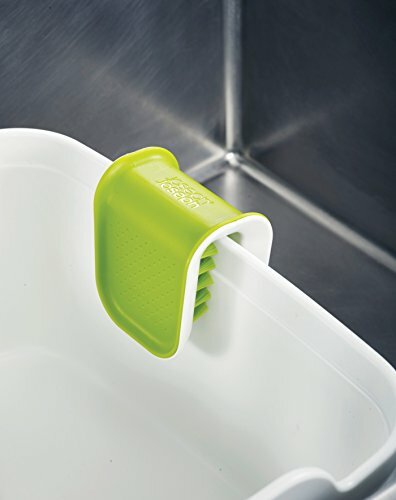 A smart and useful kitchen accessory with a design that ensures a good grip. Easy to clean just by washing along with your washing up. It prevents you from cutting yourself, again. Has a good grip and easy to use. 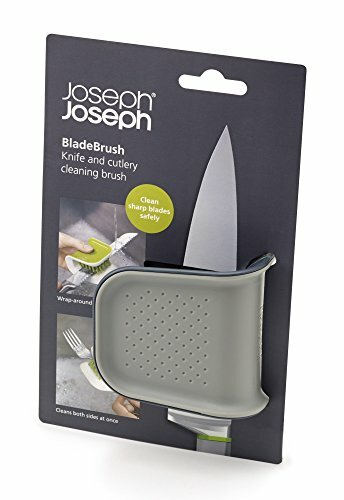 This has tough brushes so you can clean your knives properly. Designed as false teeth so you can clean both sides of the knife at a time. 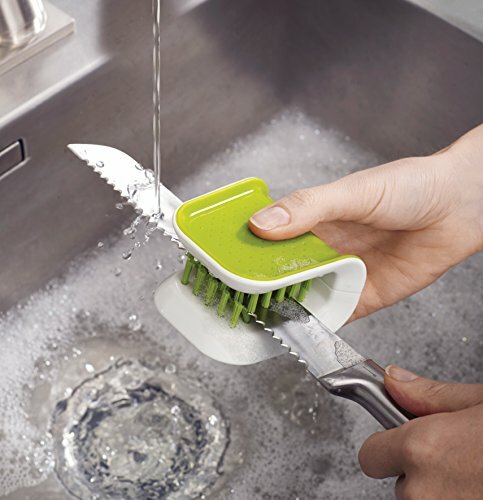 Easy to clean the knife cleaner for reuse.